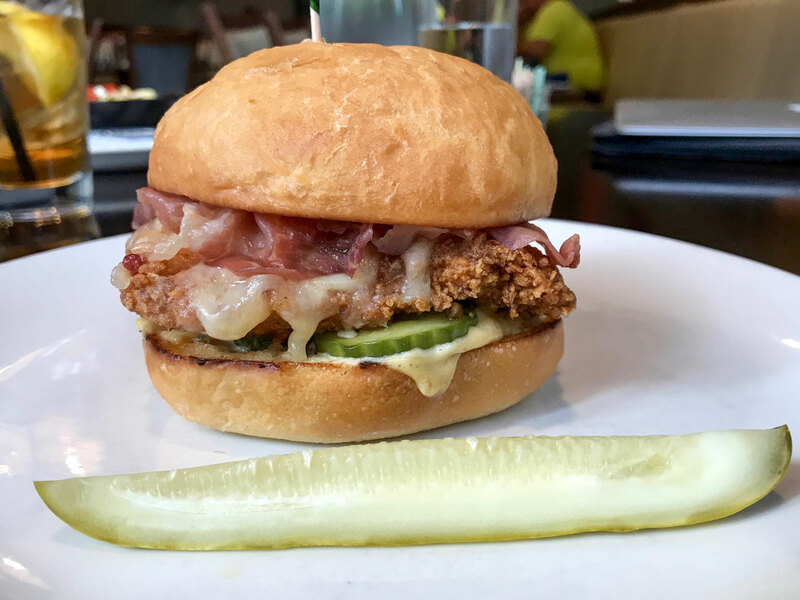 The must-visit restaurants, breweries, doughnut shops, and bologna sandwich haunts in Queen City. There’s no shortage of fantastic food cities in the South, but lately, the big question is whether 2018 is Charlotte’s breakout year—and we offer a resounding "yes." Situated in the Piedmont region of North Carolina, Charlotte is one of America's fastest growing cities and now a burgeoning food capital, with some of the top chefs, mixologists, and bakers in the company making it their homes. Home to top-of-their-game chefs like Kindred, Paul Verica (who recently opened The Stanley), Chris Coleman, Ashley Boyd, Trey Wilson, Matthew Krenz, and many more, the city has inspired top talent to relocate from other Southern hubs. Chef Craig Deihl recently migrated from Charleston to take the reins in the kitchen at Hello, Sailor, while Asheville’s William Dissen opened a new spot in town called Haymaker. “There are some really interesting and creative projects going on and some really terrific operators like Steve Palmer and Ford Fry coming to town as well, which is huge,” says Kindred. “[Charlotte] reminds me of when I moved to Asheville years ago to take over The Market Place—everyone is working together to grow the community around great food,” says Dissen. "The city is definitely primed to be a leader in the food scene in the South and we're excited to be a part of it." So, we can't imagine a better time to organize a weekend jaunt to Charlotte—organized around eating, of course. Here, find everything you should eat and drink (or at least try to) in 48 hours. Fly into Charlotte Douglas International and immediately head to Price’s Chicken Coop (1614 Camden Road), a take-out-only spot that’s been serving perfectly battered fried chicken since 1962. The best way to devour? Eating out of its white box curbside with a sweet tea in hand. Drop off your luggage at the Ritz Carlton, Charlotte, in the heart of uptown (which is technically downtown), and head directly over to Coco and the Director for one of Sadruddin Abdulla’s (aka the Sugarman’s) cronuts and a proper cold brew. Take a food break and hop on the Lynx light rail for the ultimate brewery tour, with a few small bites in the mix, because let’s be honest, there’s a lot of culinary ground to cover and you might as well make the most of each stop. Start at Suffolk Punch, a coffee bar, a brewery, eatery, and fermentation lab, all-in-one. While choosing here is hard, opt for Hyde Brewing’s Lavender Skies (a Saison brewed with local Wehrloom honey and lavender buds), Patchwork Orange (a citrusy IPA), and IL-LEMON-NATI (a pale ale that sips like a Shandy.) 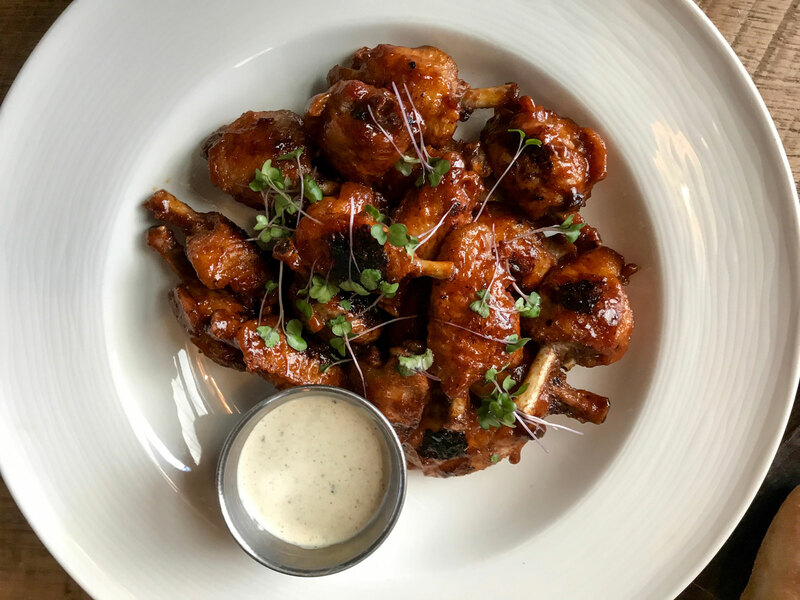 Snack on charred mesquite frenched wings (little drumettes that melt in your mouth) with buttermilk crema and crispy North Carolina-style shrimp with kimchi. Head over to Triple C Brewing Co. for an obligatory Light Rail Pale Ale and Grill Friend, a smoked amber ale that pairs wonderfully with barbecued meats. Fill up a 32-ounce "Crowler" (a can-meets-growler) with your favorite for later. Wooden Robot Brewery awaits, so hop on the lightrail and prepare for…. more beer. And killer tunes, courtesy of head brewmaster Dan Wade. Good Morning Vietnam, a blonde ale brewed with coffee beans and vanilla beans, is an ideal match to the funky monkey bao-meets-taco snack (think Nutella, caramelized bananas, and toasted coconut), and you can’t go wrong with a drinkable Botbier farmhouse ale and a melty, gooey black truffle grilled cheese. Next, stop by Bold Missy Brewery, the city’s only women-owned brewery, where brews are named after important women in history. Trapper Keeper, a Lisa Frank-inspired glitter saison, put the brewery on the national map, but their beers are solid across the board. Sour beer fans will appreciate Heart of Glass, a super tart blonde sour beer brewed with 100 pounds of strawberries, while Nine to Five, a golden blonde ale brewed with local honey (named after Dolly Parton) is satisfying, too. If you feel compelled to exercise and drink at the same time, consider a biking brewery tour. Sober up. It’s time for dinner and Haberdish is like a mixtape of the South’s greatest food hits. No judgment if you order every damn thing under the “snacks” category, because who can resist cheese straws, smoked deviled eggs, hushpuppies with sweet tea butter, a pimento cheese ball rolled in nuts reminiscent of a Southern Christmas party, and boiled peanuts. Feast on cauliflower steak that eats like meat and crispy fried chicken as mains. Savory corn bread pudding (hello grits and cheese and stuff) and sweet potato dumplings drenched in brown sage butter are menu highlights. As for cocktails, head mixologist will keep you occupied with drinks that are both delicious and pretty. For summer, she’s into gin, so post up at the bar after dinner and leave it in her hands. Fuel up at Not Just Coffee with a nitro cold brew or slurp down one of their beloved tea lattes. Take a food and booze break and hit the Levine Museum of the New South for an interactive glimpse into post-Civil War history throughout the Piedmont region, one of the city’s most compelling museums. 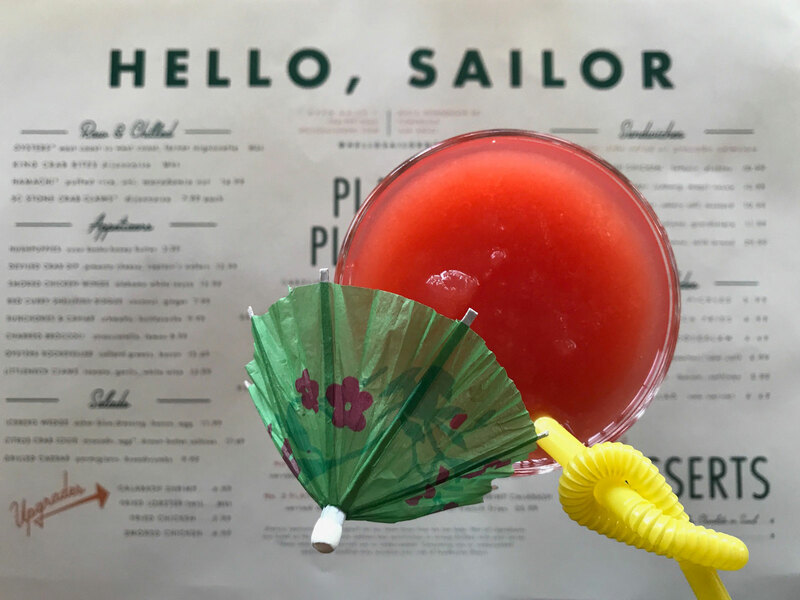 Just down the road in neighboring Cornelius, Hello, Sailor, a former dive bar-turned fish camp with Palm Springs vibes, is the place to have a leisurely, boozy lunch. Situated on Lake Norman, it’s the perfect backdrop for a super 'grammable I Got a Marlin, Darlin’ cocktail (served in a shark vessel!) and a negroni slushy. 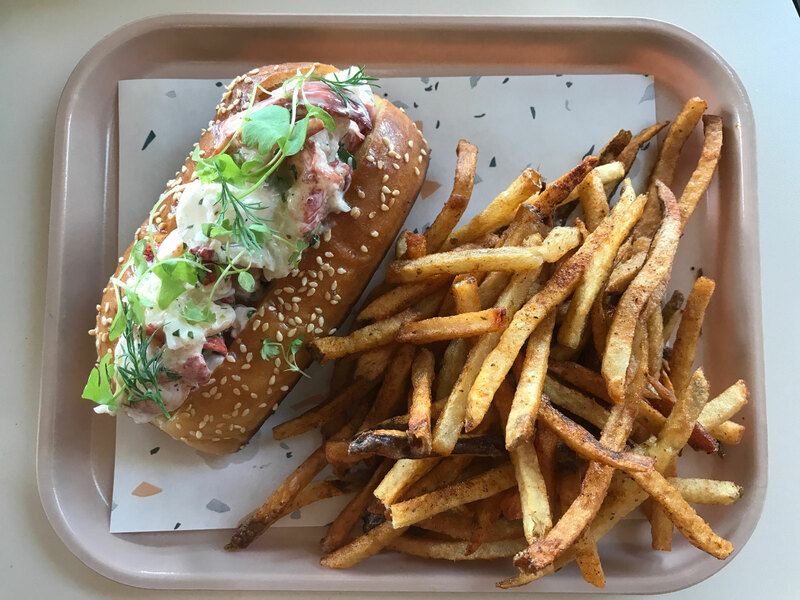 For food, we sincerely hope you’re eating a lobster roll when Bad Company’s “Feel Like Makin' Love” comes on, as it’s the only way to describe the experience of eating it. It’s hard to narrow things down, but go with the surprisingly filling citrus crab Louie salad (served with buttery saltines), Hamachi poke done right, and a dozen oysters served alongside seaweed and Fernet mignonette—cheekily marked with a sketch of Biggie Smalls for East Coast and Tupac Shakur for West Coast. 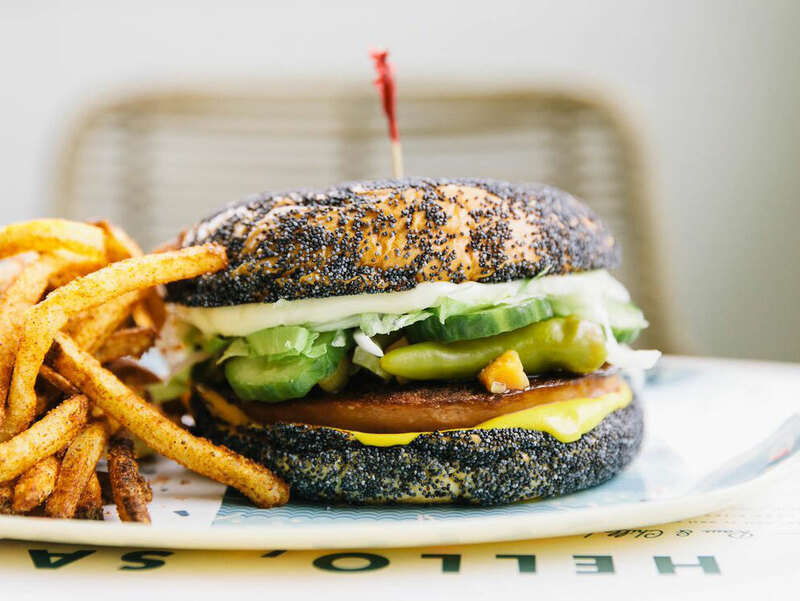 Cleanse the palate with a side of watermelon pastor and conquer the Chicagoish fried bologna sandwich, which Deihl notes is covered in enough poppy seeds to make you fail a drug test. If you have room for dessert, Justin Burke-Samson’s hand pies are fried in beef fat, so there's that. If they're serving chocolate and vanilla swirl soft serve, do exactly this: order it with a side of beef fat fries and dip accordinaly. Head to Heirloom, one of the most creative farm-to-table outposts in the South. Clark Barlowe, a chef with a serious mushroom addiction (and a tattoo sleeve that doubles as a mushroom identification field guide), uses fungi like we’ve never seen before—including In the Woods, a whiskey based cocktail with a chanterelle mushroom infusion, turmeric tonic, and mushroom syrup. Weird, we know, but oddly satisfying. The chef’s tasting, featuring six courses, tells a whimsical tale of hyperlocal purveyors, farmers, and foragers, or order à la carte and share. Find Heirloom’s version of fried chicken, served with chef-foraged maitake mushroom mac and cheese, on nearly every table. Don’t eat meat? No worries, chef’s vegetarian fried “hen,” as in hen of the woods mushrooms, is a solid bet. Get a taste of the coast with fresh-off-the boat Jarret Bay oysters while the sturgeon BLT (as in fish bacon) will have you second guessing your love for actual bacon. If commitment isn’t your thing, hit multiple spots. At Stoke, the escabeche bay scallops poached in schmaltz and a glass of Albariño from the “interesting whites” section is perfection. Whatever you do, don’t leave without experiencing the one pound, fried-to-order doughnut. “It’s like an apple fritter and a donut had a baby,” chef Chris Coleman says. 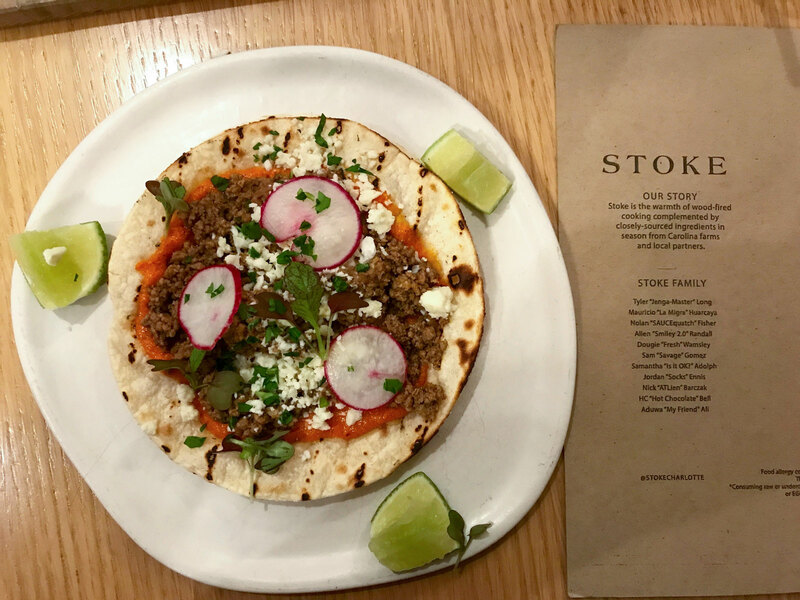 If you’ve got time for a lunch bite during the trip, his Merguez tacos are where it’s at, featuring Border Springs Farm ground lamb with a northern African spice appeal. Wander into The Cellar at Duckworth’s, a former underground speakeasy from the early 1900s, for the most immaculate beer collection ever. The dimly lit space is the place for beer connoisseurs, as the cellar boasts more than 300 rare and hard-to-find options—plus several beer lockers for serious enthusiasts to rent and store. Coat the stomach with tempting housemade waffle cones, a trio of coconut shrimp, Sriracha chicken, and poke. Curb pizza cravings in a historical villa at Bruce Moffett’s Stagioni, where slices are custom cut with scissors. Since pizza is considered a snack at this establishment, opt for the broccoli (topped with smoked mozzarella, garlic puree, prosciutto, chili oil, and benne seeds) and an obligatory Margherita pizza paired with Legion Brewing’s Project Pils. The night doesn’t end here. Rooftop drinks at Merchant & Trade offer an unbeatable skyline view, then mingle on to Dot Dot Dot, a members-only cocktail bar led by Stefan Huebner—meaning you’ll never have to push and shove to get served. Go for the classics (locals swear it’s the best Old Fashioned around), but stay for Huebner’s quirky house drinks, like the Strawberry Fizz, a velvety vodka and gin-based cocktail whipped up with egg whites, lime, and strawberry purée. End the night at The Punch Room, a swanky, 37-seat cocktail bar tucked away on the 15th floor of the The Ritz-Carlton, Charlotte, with a focus on craft cocktails and boozy punches. Fiesta punch, an alluring purple-ish/pink drink crafted with tequila, spicy jalapenos, a bubbly Lenny Boy beet-ginger kombucha, and citrus, serves as the best nightcap in town. Or go all out because it’s the last night and order the $400 cocktail, a luxurious mix of Remy Martin Louis XIII Cognac, byrrh, sassafras, and sorghum bitters. Luckily, a comfy bed is just an elevator stumble home. Pat yourself on the back, you’ve almost survived the weekend, but there are two important last stops. 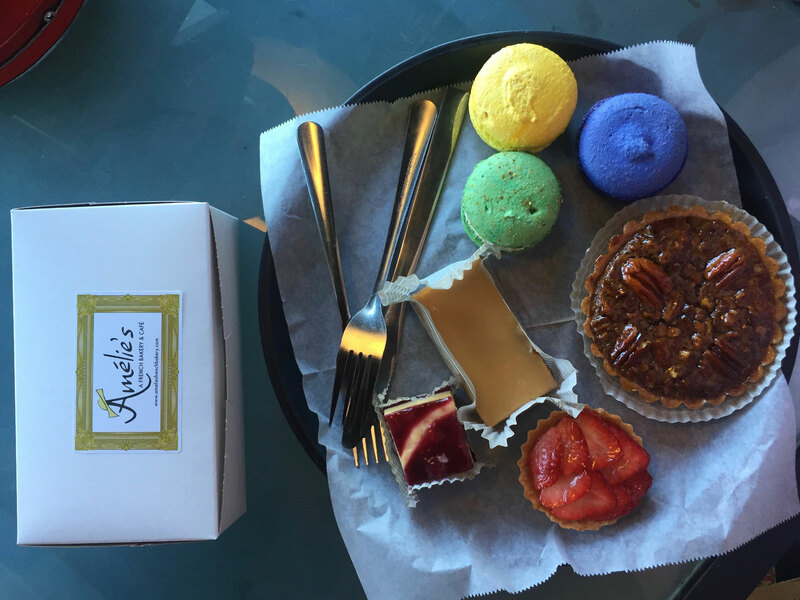 First up, Amelie’s French Bakery for all things sweet. The macarons, featured on The Hunger Games: Catching Fire, are all the rage, but the salted caramel brownie and pecan tart are unmissable, too. With a hashtag like #bodybybiscuit, The Asbury is a must-visit. Start with an order of chef Matt Krenz’s sticky biscuits (think Benton’s country ham and goat cheese “icing” paired with a Southern-style buttermilk biscuit). Chef’s hummus bowl, featuring boiled peanut hummus, poached eggs, crispy potatoes, vegetables, and roasted garlic Béarnaise, is best enjoyed with the restaurant’s Bloody Mary bar. 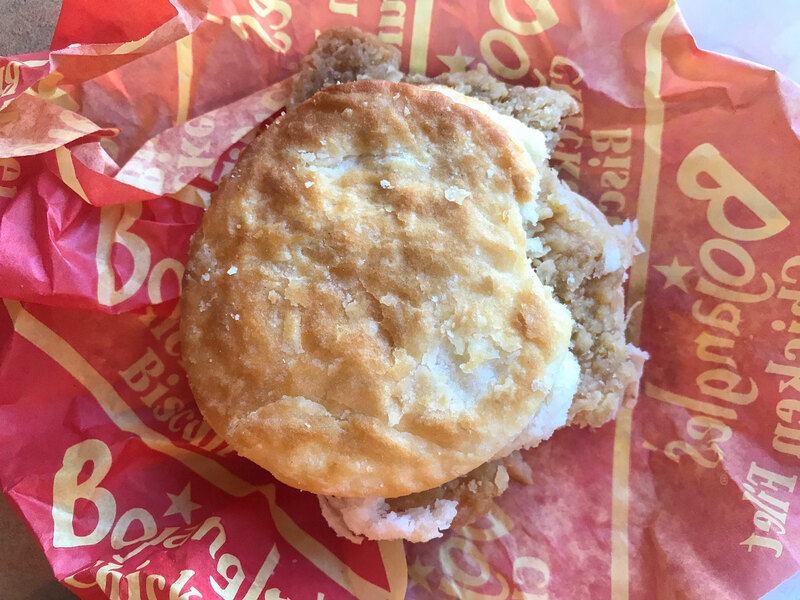 If hunger strikes at the airport, get yourself a Bojangles’ spicy Cajun biscuit for the plane ride home, because at this point, why the hell not?